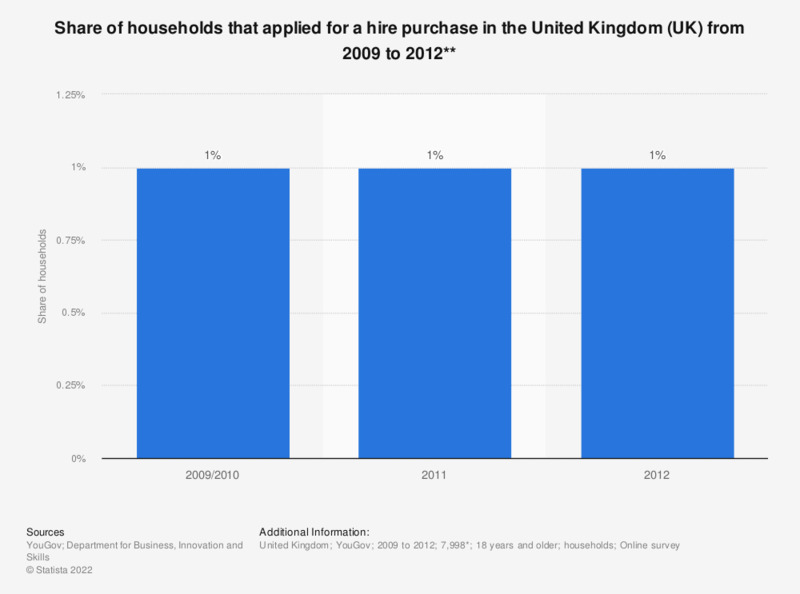 This survey shows the share of households that applied for a hire purchase in the United Kingdom from 2009 to 2012, according to the YouGov DebtTrack Surveys. A hire purchase is a method of buying goods through making installment payments over time. Over the period in consideration, only one percent of survey respondents had applied for a hire purchase within the previous 6 months to each annual survey. ** Applications made in the previous 6 months to survey.